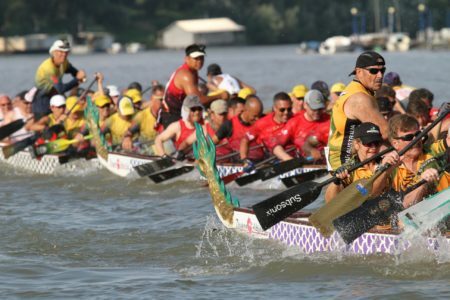 The 11th International Dragon Boat Federation’s CCWC took place from July 17th – 22nd , 2018 in Szeged, Hungary and seven of AZDBA’s very own paddlers took the trip with various club crews to compete on the world stage. The CCWC features the best club teams from around the globe from nations from every corner of the globe. Each club is allowed to bring a nominal number of guest paddlers from other crews to fill out their rosters as race organizers understand that the cost for international travel for 20 paddlers is sometimes a big challenge for some crews. Randy Bennett, Marisa Singpradith, Eric Tang, Julie Hensley, Karen Gaylord, and Ashley Lagazo from the AZ Gila Dragons joined forces with Team DPW to enter into the Senior A Womens, Senior A Open, Senior A Mixed, Senior B Mixed, Premier Women divisions. They competed with both 20-man and 10-man boats, and raced in 200m, 500m, and 2000m distances. All totaled, DPW paddlers raced in 39 different races over 6 days of competition. Team DPW’s Senior A Women placed 2nd in the 20-man 500m minor final, and the Senior A Mixed team placed 3rd in the 20-man 500m minor final. No medals are awarded for minor finals, so unfortunately, none of the AZ paddlers were able to take home any bling – just memories, camaderie, and friendships. “Even though this was my 2nd DBoat Club Crew Championship participation, event was still such an eye opener because the times were fast and still not enough to make it to Grand Final. It was an honor and privilege to be asked by California Team to compete at this level and this time with a few more AZ paddlers,” noted Marisa Singpradith. 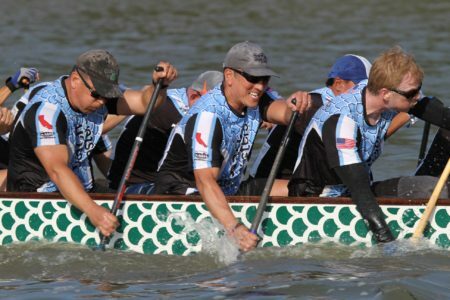 Peter Funnel (AZ Gila Dragons Head Coach) competed with Long Beach Masters and entered boats in the Senior A Open and Senior A Mixed divisions, for 20-man 200m, 500m, and 2000m races. While they did not medal, they earned a respectable 5th place finish in the Senior A Open 500m minor final with a time of 2:09.103. About 140 clubs from 28 countries competed in 450 races in this international competition that featured the best club crews on the planet. 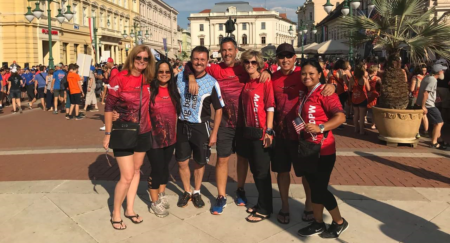 All totaled, there were over 6200 participants who participated in this international competition in what turned out to be the biggest Dragon Boat World Championships ever. 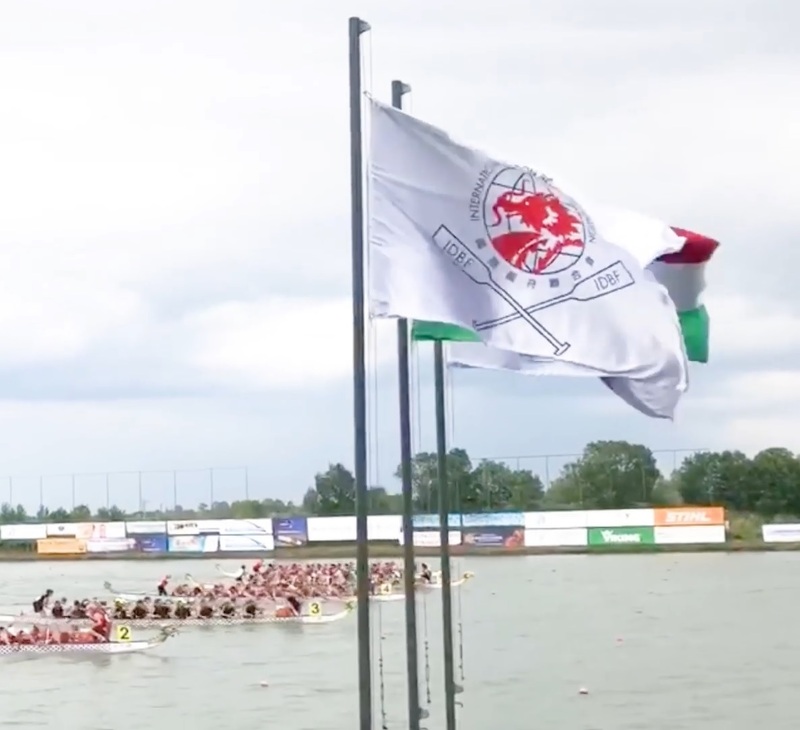 The first four days of the competition saw the teams compete in 200m and 500m races in the Olympic city of Szeged, and the remaining two days saw the 2000m races take place on the river Tisza, in the heart of Szeged. To provide a glimpse of the sheer human effort needed to pull off an event of this magnitude, there were 58 trained race officials, along with an army of over 300 volunteers to help pull off the feat. A total of 48 boats were constantly running through the entire week of competition. 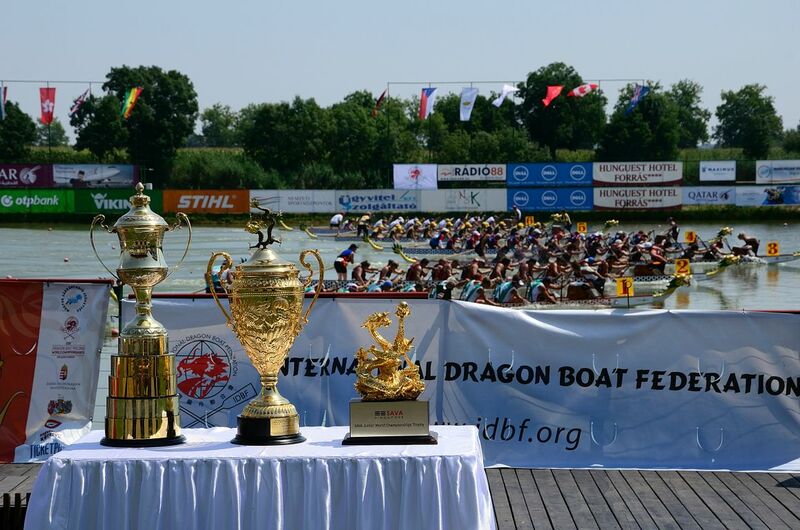 The event was hosted by the Hungarian Dragon Boat Federation (HDBF) under the leadership of Péter Járosi. It was a well managed and professionally coordinated event, although the weather did not cooperate at times. Between the heat, rain, wind, and strong currents, each team had to break through the environmental challenges to see what they were made of. The medals and trophies were jointly handed to the winners by Mike Thomas, President of IDBF and Péter Járosi, President of HDBF. 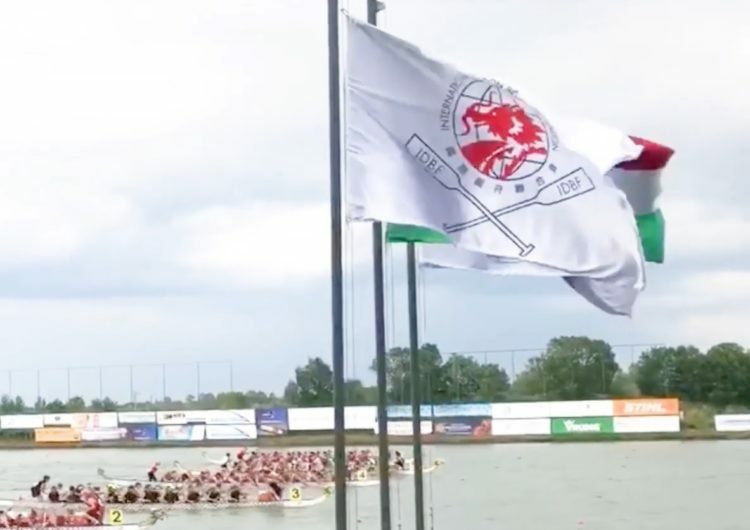 The trophy awarded for “Best Overall Club Challenge-Cup” went to the Canadian team ‘22 Dragons Montreal’, and the trophy for “Best Hungarian Club” went to ‘Dunai Sárkányok Vác’.